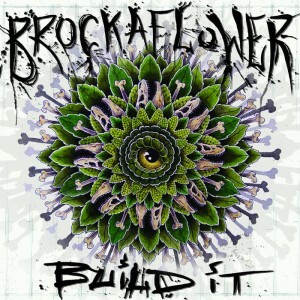 Brockaflower or Brockaflowersaurus-rex & The Blueberry Biscuits are a neo-soul collective incorporating that ‘FFD/Wellington sound’ but filtered through modern funk & Hip-Hop. Featuring Louis Baker, Zoe Moon Mahal, & Estere Dalton on vocals. Formed in 2011 they’ve gone from jamming in a cold basement to headlining sold-out shows and performing at festivals all over NZ. Funky, soulful, melodic, the best tracks on their debut full-length are the slow-groves. They recently played a ‘Farewell’ show but left the door open to return. Follow them here. Buy some of their music here. 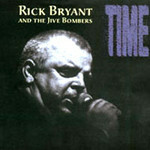 Time / Rick Bryant and the Jive Bombers. In 1983 iconic Wellington musician Rick Bryant (Rough Justice, Mammal) formed The Jive Bombers, an ambitious band with four brass players, two guitars, keyboards, rhythm section and three female backing vocalists – allowing Bryant to interpret his beloved soul music with suitable instrumentation. A difficult line up to sustain & tour with at that time, the original Jive Bombers lasted less than two years, releasing just one vinyl album, ‘When I’m With You’, a mixture of Bryant originals and soul standards. Bryant continued on with smaller line-ups and in the 1990s he teamed up with songwriter John Kempt to record this CD of Bryant-Kempt originals, ‘Time’, under the Jive Bombers moniker, which was released in 1999. His voice was still in great shape at this point and the album is full of great originals from sultry blues to funky horn rave ups. 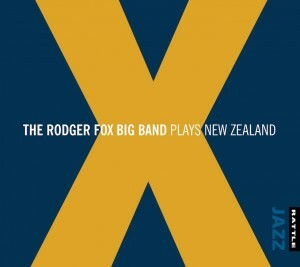 The Rodger Fox Big Band plays New Zealand. Jazzman Fox has been around the NZ Jazz scene for over 40 years. The trombonist is NZs foremost & recognisable big band leader, & The Rodger Fox Big Band won the Tui Award for Best New Zealand Jazz Album of the Year in 1981, 2000, and 2012, and was a finalist in 1984 and 2001. Now based at Rattle, the latest album following his 2015 Michael Houstoun collaboration (Concerti) ‘Plays New Zealand’ is a collection of big band arrangements of nine pieces by contemporary New Zealand composers, including Nick Granville, Norman Meehan, Phil Broadhurst, Fat Freddy’s Drop, and even one from Mr Fox himself. If you thought Fat Freddy’s ‘Wandering Eye’ couldn’t work as a Jazz tune, this album will prove you wrong. More info here. Formed in 2010 Glass Vaults are an ambient duo whose core members Richard Larsen and Rowan Pierce expand the lineup as needed. EPs ‘Glass’ (2010), ‘Into the Clear’ (2011) and ‘Bright’ (2013) led up to 2015’s full length release ‘Sojourn’, which was nominated for a 2016 Taite Music prize. Washed out vocals linger beneath psychedelic folk, guitar textures and shimmery electronic swirls. Read more about them here. Buy here. 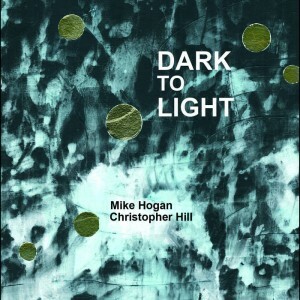 Dark to light / performed by Christopher Hill ; wriiten by Mike Hogan. Lovely CD of contemporary classical guitar tracks written by Mike Hogan & performed by Christopher Hill (New Zealand Guitar Quartet), anchored by a 2013 reworking of Hogan’s multi-part ‘Matariki Suite’, which was originally commissioned in 2004 by Matthew Marshall & Massey University. More on Mike Hogan here. Review here. Available from Bandcamp here. Most and least; Trippin’ the light; When we hang out. 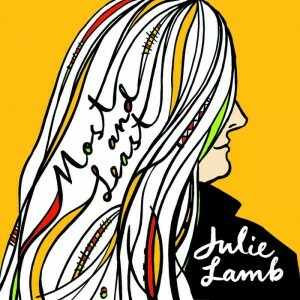 Collection of Julie Lamb’s work beginning with ‘Most and Least’ written over many years, and released in 2008; Trippin’ the Light’ from 2012; and ‘When We Hang Out’ 2014. All three albums feature a bevy of talented local musicians including Andreas Lepper, Emma Davey, Callum Hazlitt-Black, and Damian Forlong among others. Lamb is adept at just about every style of music out there from piano ballads to funky soul, folky acoustic tracks to 70s influenced rock tracks, bluesy numbers to girl group stylings. Lamb has been a veteran of the Wellington music scene for over a decade and these albums demonstrate a remarkably consistent level of quality songwriting & arrangements. More about Julie here. Buy some of her music here. Watching ghosts… and other songs. England-born singer-songwriter Helen Dorothy is a recognised performer in the New Zealand folk scene. Her debut CD ‘The Going Away’ was released in 2009, receiving favourable reviews from NZ Musician Magazine with the follow up, this CD, being released in 2013. Helen performs in the Wellington region, but has also toured New Zealand’s folk clubs and appeared as a festival guest performer. 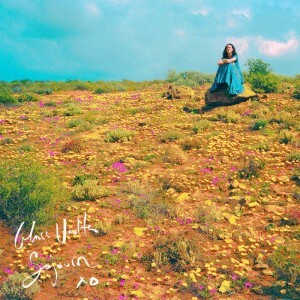 Her material has also featured on the UK’s premier folk magazine podcast Folkcast and the prestigious fRoots Radio playlist. 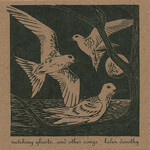 ‘Watching ghosts..’ is a set of sparse observational acoustic tracks, each song a small story. Fiona Smythe’s Violin, Richard Prowse’s Double Bass, Kevin Clark’s Flugelhorn & Robbie Duncan’s guitar add subtle shadings to the acoustic palette. More about Helen here. Buy her music here. 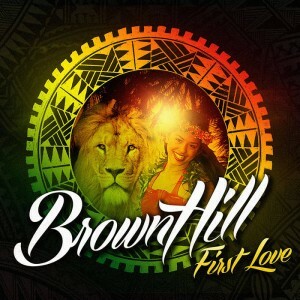 Reggae band Brown Hill are based out of Lower Hutt. They performed at 2016 One Love Festival for the third year running, and were part of May’s I Love Fiji relief concert staged at the Michael Fowler Centre sharing the stage with Hawaiian-based music legend George “Fiji” Veikoso & Aaradhna. 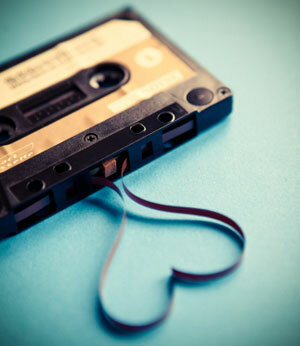 Debut album ‘First Love’ combines ‘feel-good’ reggae with the vocal styling’s of 70s soul groups like The O’Jays. Follow them here. Buy their music here.